Misbehavin' Librarian: The Gathering (Darkness Rising #1) by Kelley Armstrong: Book Review and Contest! 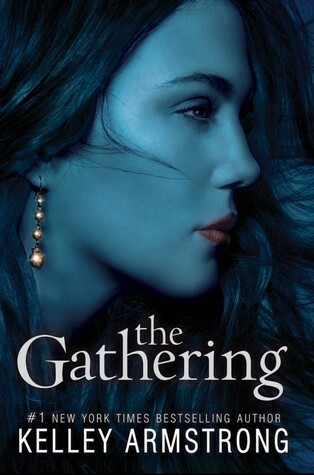 The Gathering (Darkness Rising #1) by Kelley Armstrong: Book Review and Contest! Description: Strange things are happening in Maya's tiny Vancouver Island town. First, her friend Serena, the captain of the swim team, drowns mysteriously in the middle of a calm lake. Then, one year later, mountain lions are spotted rather frequently around Maya's home—and her reactions to them are somewhat . . . unexpected. Her best friend, Daniel, has also been experiencing unexplainable premonitions about certain people and situations. It doesn't help that the new bad boy in town, Rafe, has a dangerous secret, and he's interested in one special part of Maya's anatomy—her paw-print birthmark. "UM, yeah. She climbed a tree to escape a cat. She's suffering from a serious case of stupid." "In Nanaimo? Must be a low-budget Canadian production." "Takes care of me? Did I go to sleep and wake up in the nineteenth century?" I looked down at my jeans and T-shirt. "Ack! I can't go to school like this. Where's my Corset? My bonnet? "Dad's trying to marry me off to Daniel." I looked at him. "You know, if you offer him a new truck for a dowry, he might go for it." I love Kelley's books and cannot wait to read this one. Kelley's Women of the Otherworld series is one my favorites. I still need to catch in the series. I'd love to win this book. I've never read ya novel by her yet. I so want to read Kelley's YA! Kelley's books are fantastic. I have only read her other YA books and loved them. If you enjoyed this I think you would really like the other three YA books she has out too. I am like you too if I am reading a book and i recognize or know places I get all geeky. I am crossing fingers and toes. I'd love to win this one for my 14 yr old son. He loves these books and he gets to talk with girls about them lol. Kelley is one of my favourite authors! I love all her books!